The bond between a pitcher and a catcher is pivotal and subtle. The difference between one finger and two, resting on the catcher’s thigh or flashing by in a quick sequence, tells the pitcher to go fastball or slider or curveball or changeup. If that signal is blurry from 60 feet away on the pitcher’s mound, you have a problem. 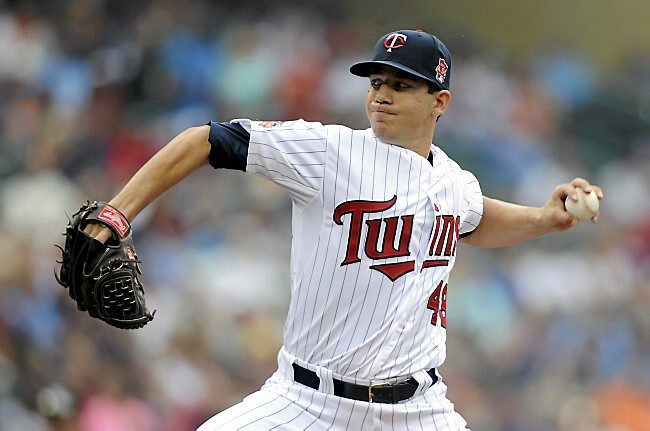 Professional baseball pitcher Tommy Milone, 29, knows that problem all too well. He started having vision problems about six years ago when he was playing in the minor leagues. Glasses weren’t an option on the baseball field, and he tried contacts but quickly realized they weren’t for him. They didn’t sit right on his eyes and caused a lot of discomfort. He knew a couple of other players who’d gotten LASIK, and decided to look into it himself. And it wasn’t until he had LASIK that he realized how bad his vision had actually gotten. He hasn’t experienced any other side effects, but some common ones include dry eyes and visual disturbances, like glare, halos and starbursts. You can read more important safety information here and learn a little more about whether you might be eligible for LASIK here. “I really like being able to sit down in front of the TV without my glasses. And of course, it’s nice being able to read the catcher’s signals,” he added. If you’re considering LASIK but are apprehensive, Milone does have a piece of advice: take the time to get comfortable with your LASIK surgeon before the procedure. He had his LASIK done at the Maloney Vision Institute, and Dr. Maloney and his team spent time with Milone to make sure he was comfortable and had all his questions answered ahead of time.